If you ask any tourist what the best bit about Thailand is, chances are their answer will always be the food! Here in Thailand, we pride ourselves on the delicious food. From papaya salad to green curry, fried rice and pad thai noodles. The flavours, the herbs, the spices, the textures, all combine to create a taste sensation. Imagine if you could learn exactly how to make all these favourite dishes to recreate at home? Well now you can. There are several places across Thailand that are specifically designed to teach you the art of Thai cooking. If you’re staying in Phuket, and even closer to home at Atmanjai, you’ll be able to enjoy their weekly Thai cooking class. 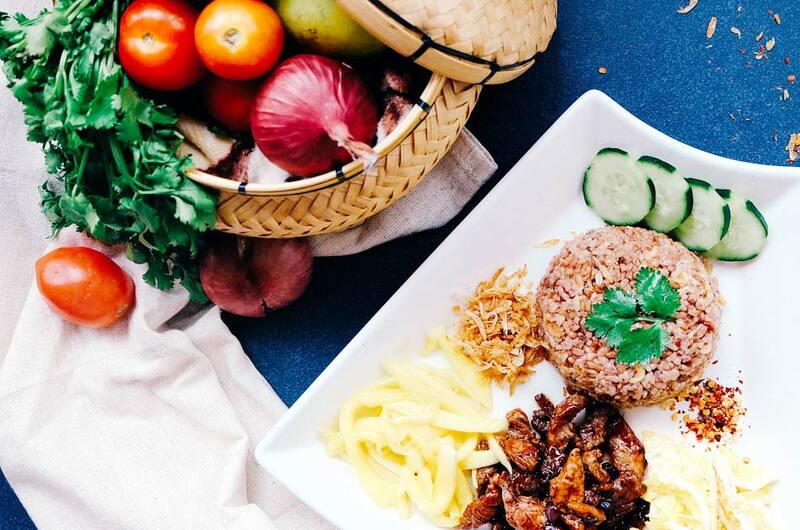 The guys at Atmanjai put their own healthy spin on it, using raw and vegan friendly ingredients to keep things healthy and nourishing, as typical Thai cooking tends to contain added sugars and MSG. If you prefer the typical Thai cooking style, make sure you head down to the Blue Elephant School in Phuket Town. They have spent 36 years perfecting the art of Thai cooking and teaching others their infamous skills. Spend the day at their school learning everything you need to know about Thai food, so you don’t only eat like a pro, but cook like a pro too. If you’re further north in Thailand, make sure you check out the Smile Organic Farm Cooking School. This school is the first original Thai cooking school in the whole of Chiang Mai. Situated on an organic farm with the freshest of ingredients. Pick your ingredients straight from the ground, learn how they’re grown and spend the day in their outdoor kitchen. You’ll get to meet the real authentic cooks behind the farm and the best bit of course…. Enjoy your delicious creations at the end! This is the perfect family day out to learn about Thai culture and get the kids hands on too!